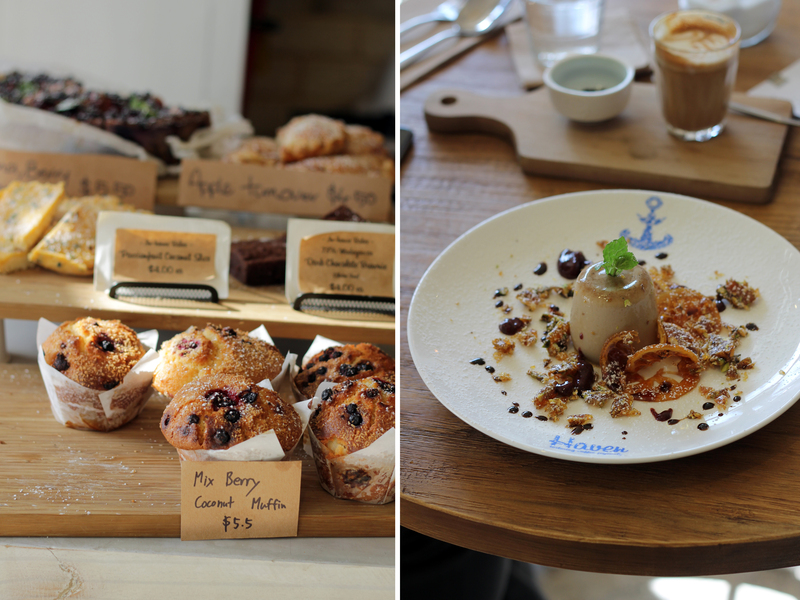 Newly opened Haven cafe in Surry Hills is a coffee-lover's dream. 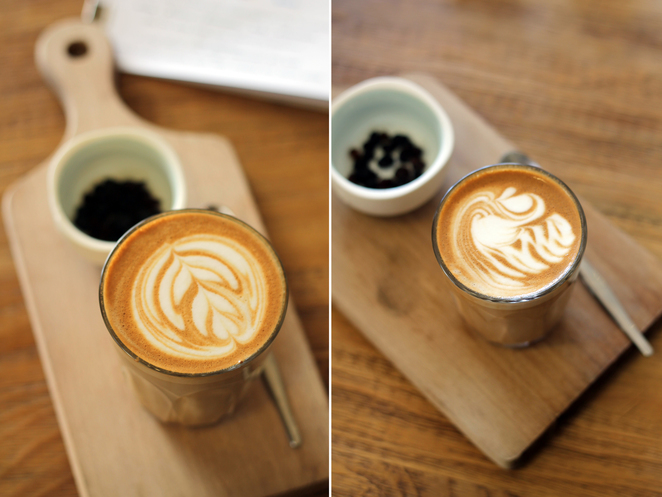 The point of difference here is that you can tailor coffee to your palate. You can ask for more body, more sweetness, or whatever you fancy. I try the filter coffee, which is made to order. The single origin beans are roasted by Jake Hu in Taiwan. 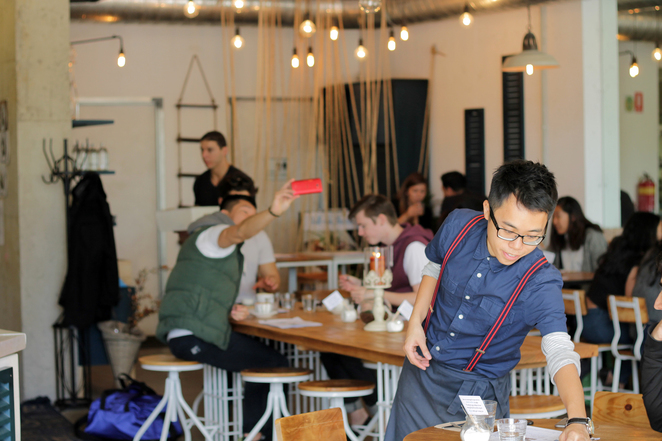 For the filter coffee, you have a choice of fruity, nutty, chocolatey or barista's pick. 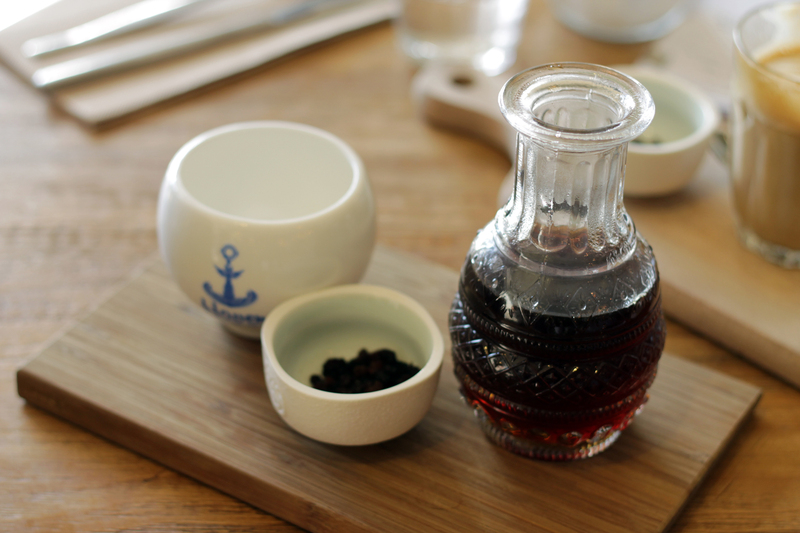 I go for the chocolaty, and am presented with a beautiful glass bottle of steaming hot coffee. 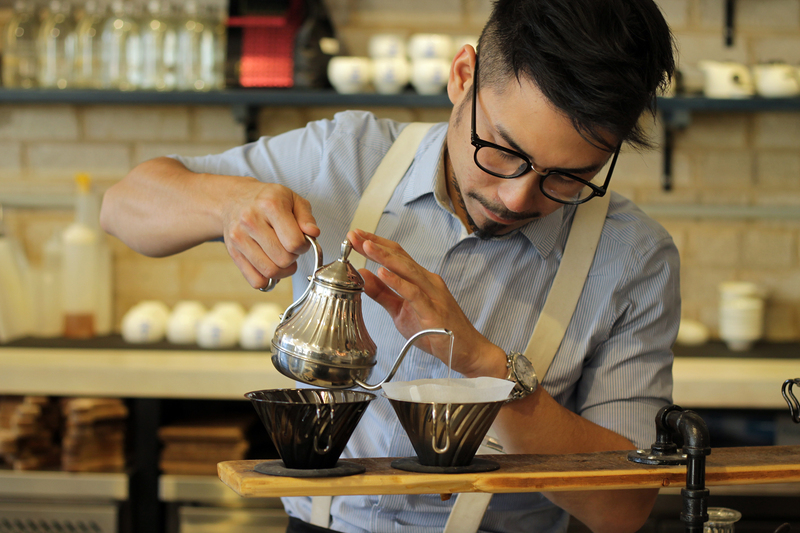 House blend coffees are roasted by Single Origin, which are used if you're having your coffee espresso-style. All coffees are accompanied by a bowl of tiny raisins that are intended to match your coffee experience. 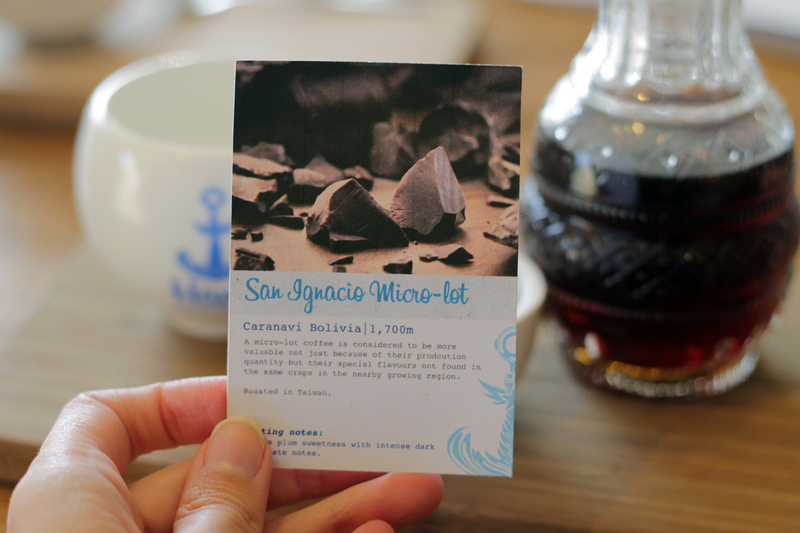 Taste some of the raisins between sips, and you'll get even more out of the coffee notes. 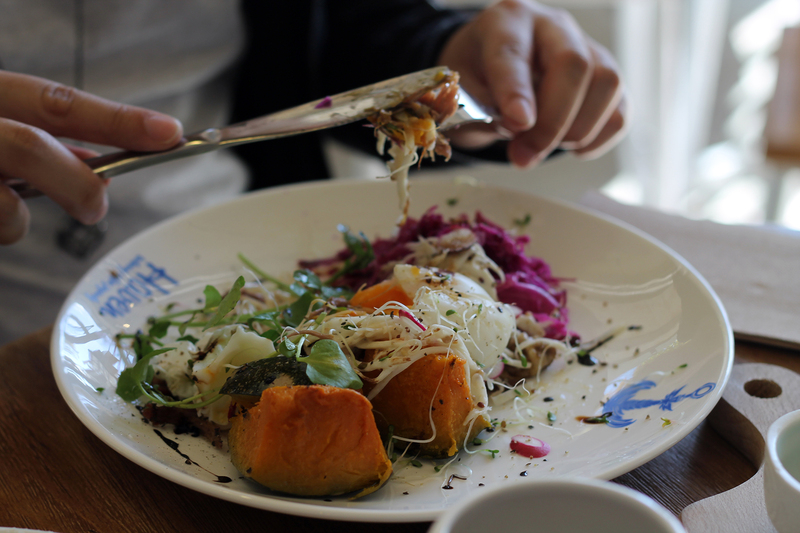 We order the autumn hash, a lovely dish of braised lamb, celeriac, pickled red cabbage, poached egg, and pumpkin. The lamb has intense flavours of spices and marries well with the delicious celeriac. 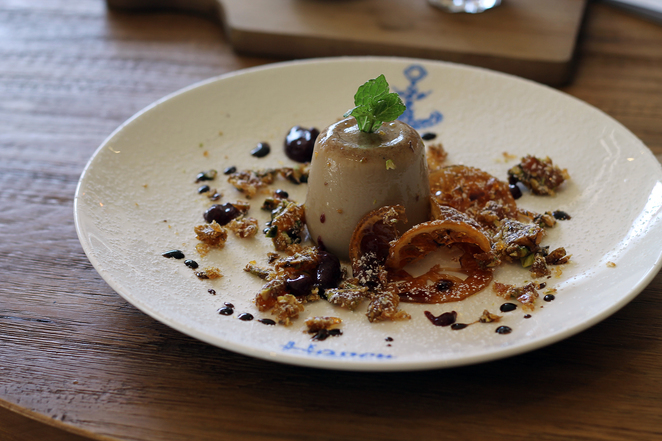 The roasted plum parfait is our next choice, which is a beautifully presented dish. The plum parfait is full of vibrant plum flesh, and I love that it's not too sweet. Sliced oranges, grapefruit and kiwi are scattered across the bottom, adding acidity. 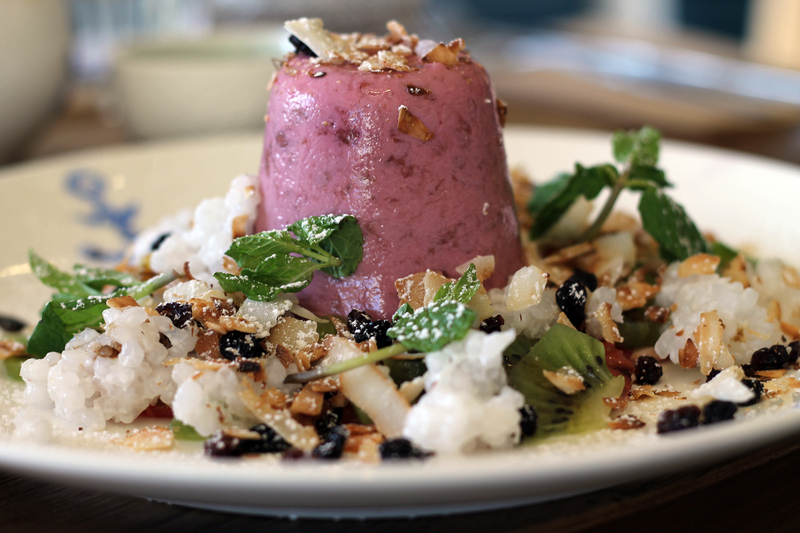 Coconut sago, desiccated coconut, raisins, and fresh mint are also featured. It's a light and fresh dish, where pops of sweetness only crop up from the raisins. For dessert we share the soy chai pannacotta, which is too heavy on gelatine for me. Otherwise it's nicely wobbly, and it's rich in chai flavours. But the highlight for me is the broken up pistachio brittle, adding crunch, nuttiness and sweetness. Blobs of tart berry sauce also adorn the plate. Other sweets like muffins and apple turnovers are displayed at the counter to tempt you. Located on Chalmers Street, the bright cafe is heavily branded with Haven logos, but the decor is welcoming and minimalist. Light wooden tones are matched with whites and some blues. 40s music augment the chilled out vibe. Looks like a fun experience for coffee lovers. Like you Sarah, I hear the call of the Chocolatey filter coffee. the coffees would be interesting ro try.